This is the same date as Douglas Morris (Troop 21 Eagle Scout #34). 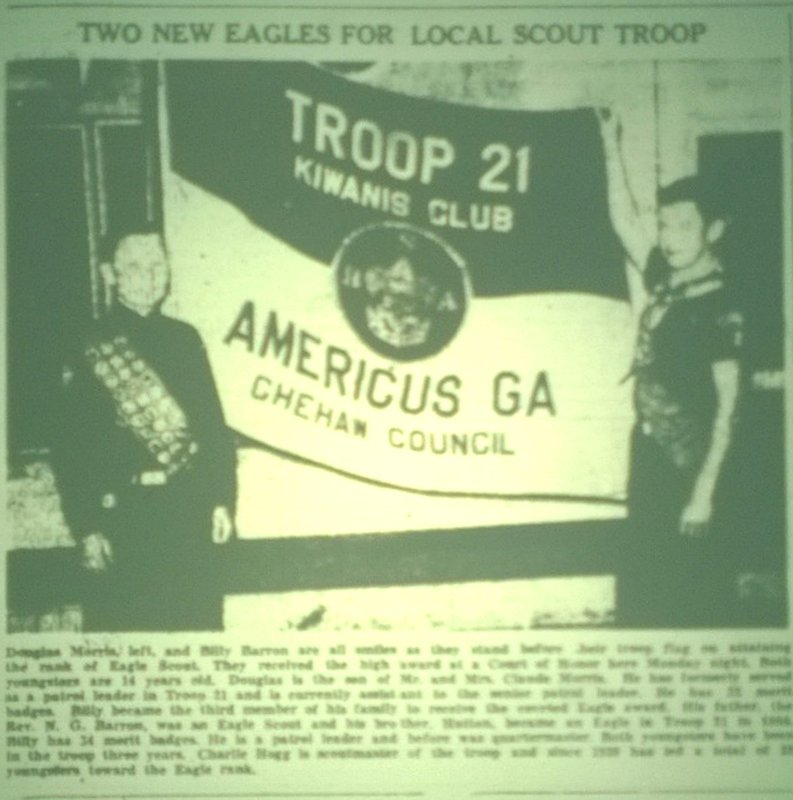 A further review of the Americus Times-Recorder on microfilm found the article showing both Morris and Barron receiving their Eagle Rank in early December, 1956. Therefore, Billy Barron was added as Troop 21 Eagle Scout #34(b) and a notation was made on the Eagle Scout plaque #198 that it was being skipped due to his being added.